Gwladus Du ferch Llywelyn also went by the nick-name of Gwladus 'the Dark'. [S6] G.E. Cokayne; with Vicary Gibbs, H.A. Doubleday, Geoffrey H. White, Duncan Warrand and Lord Howard de Walden, editors, The Complete Peerage of England, Scotland, Ireland, Great Britain and the United Kingdom, Extant, Extinct or Dormant, new ed., 13 volumes in 14 (1910-1959; reprint in 6 volumes, Gloucester, U.K.: Alan Sutton Publishing, 2000), volume I, page 22. Hereinafter cited as The Complete Peerage. [S6] G.E. Cokayne; with Vicary Gibbs, H.A. Doubleday, Geoffrey H. White, Duncan Warrand and Lord Howard de Walden, editors, The Complete Peerage of England, Scotland, Ireland, Great Britain and the United Kingdom, Extant, Extinct or Dormant, new ed., 13 volumes in 14 (1910-1959; reprint in 6 volumes, Gloucester, U.K.: Alan Sutton Publishing, 2000), volume IX, page 236. Hereinafter cited as The Complete Peerage. [S6] Cokayne, and others, The Complete Peerage, volume IX, page 238. [S6] Cokayne, and others, The Complete Peerage, volume IX, page 237. [S15] George Edward Cokayne, editor, The Complete Baronetage, 5 volumes (no date (c. 1900); reprint, Gloucester, U.K.: Alan Sutton Publishing, 1983), volume II, page 100. Hereinafter cited as The Complete Baronetage. [S4] C.F.J. Hankinson, editor, DeBretts Peerage, Baronetage, Knightage and Companionage, 147th year (London, U.K.: Odhams Press, 1949), page 1100. 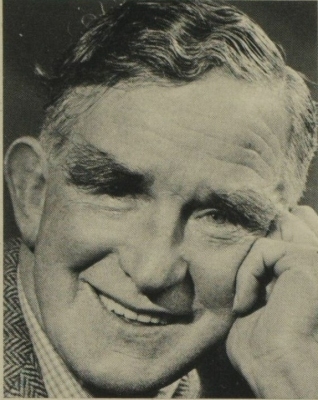 Hereinafter cited as DeBretts Peerage, 1949. [S6] G.E. Cokayne; with Vicary Gibbs, H.A. Doubleday, Geoffrey H. White, Duncan Warrand and Lord Howard de Walden, editors, The Complete Peerage of England, Scotland, Ireland, Great Britain and the United Kingdom, Extant, Extinct or Dormant, new ed., 13 volumes in 14 (1910-1959; reprint in 6 volumes, Gloucester, U.K.: Alan Sutton Publishing, 2000), volume IX, page 235. Hereinafter cited as The Complete Peerage. [S6] Cokayne, and others, The Complete Peerage, volume IX, page 236. [S6] Cokayne, and others, The Complete Peerage, volume IX, page 239. [S9] Kidd and Williamson, DeBretts Peerage, 1999, volume 2, page 2972. [S6] Cokayne, and others, The Complete Peerage, volume III, page 479. On 1 October 1758 , Mrs. Delany writes of her as 'a fine young woman altogether; rather a little clumsy, but fine complexion, teeth and nails, with a good deal of modesty and good-humour.3' From 6 February 1759, her married name became Wesley. After her marriage, Hon. Anne Hill was styled as Countess of Mornington on 2 October 1760. [S6] Cokayne, and others, The Complete Peerage, volume IX, page 235. He was given the name of Arthur Wesley at birth.6 He was educated at Brown's Seminary, King's Road, Chelsea, London, EnglandG.4 He was educated between 1781 and 1784 at Eton College, Windsor, Berkshire, EnglandG.4 He was educated between 1785 and 1786 at Brussels, BelgiumG.4 He was educated between 1785 and 1786 at the Academy, Angers, Anjou, FranceG.4 He gained the rank of Ensign on 7 March 1787 in the 73rd Regiment of Foot.4 He held the office of Aide-de-Camp to the Lord-Lieutenant of Ireland between November 1787 and March 1793, two successive Lord-Lieutenants.4 He gained the rank of Lieutenant on 25 December 1787 in the 76th Regiment of Foot.4 He gained the rank of Lieutenant on 23 January 1788 in the 41st Regiment of Foot.4 He gained the rank of Lieutenant on 25 June 1789 in the 12th Light Dragoons.4 He held the office of Member of Parliament (M.P.) (Independent) for Trim between 1790 and 1797.4 He gained the rank of Captain on 30 June 1791 in the 58th Regiment of Foot.4 He gained the rank of Captain on 31 October 1792 in the 18th Light Dragoons.4 He gained the rank of Major on 30 April 1793 in the 33rd Regiment of Foot.4 He gained the rank of Lieutenant-Colonel on 30 September 1793 in the 33rd Regiment of Foot.4 He fought in the campaign in Holland between 1794 and 1795, and was present at the affair of Boxtel.4 He gained the rank of Colonel on 3 May 1796 in the British Army.4 He fought in the wars in India between 1797 and 1805, including the campaign against Tippoo Sahib.4 In March 1798 his name was legally changed to Arthur Wellesley.6 He held the office of Governor of Seringapatam and Mysore between 1799 and 1805.4 He gained the rank of Major-General on 29 April 1802 in the British Army.4 He fought in the Battle of Assaye on 23 September 1803, where he defeated 40,000 men with 7,000 troops.4 He fought in the Battle of Argaum on 29 November 1803 at Argaum, IndiaG.4 He fought in the storming of the fortress of Gawilghur on 5 December 1803, ending in the submission of Scindia and the Rajah of Berah.4 He was appointed Knight, Order of the Bath (K.B.) on 28 August 1804 for his victories in India.4 He fought in the abortive expedition to Hanover between December 1805 and February 1806.4 He held the office of Member of Parliament (M.P.) (Tory) for Rye between April 1806 and October 1806.4 He held the office of Member of Parliament (M.P.) (Tory) for Newport, Isle of Wight between 1807 and 1809.4 He held the office of Member of Parliament (M.P.) 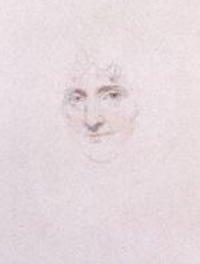 (Tory) for St. Michael between January 1807 and April 1807.4 He was appointed Privy Counsellor (P.C.) on 8 April 1807.4 He held the office of Lord of the Treasury [Ireland] between May 1807 and April 1809.7 He gained the rank of Lieutenant-General on 2 April 1808 in the British Army.7 He gained the rank of chief command in June 1808 in the in the Peninsula.7 He gained the rank of Commander-in-Chief on 6 July 1808 in the Portuguese Army.7 He fought in the Battle of Roliça on 17 August 1808.7 He fought in the Battle of Vimeiro on 21 August 1808.7 He gained the rank of Commander-in-Chief in April 1809 in the British forces in Portugal.7 He fought in the forcing of a passage over the Douro on 12 May 1809 at PortugalG.7 He fought in the Battle of Talavera on 27 July 1809.7 He gained the rank of Captain-General in August 1809 in the Spanish Army.7 He was created 1st Viscount Wellington of Talavera and of Wellington [U.K.] on 4 September 1809.7 He was created 1st Baron Douro of Wellesley [U.K.] on 4 September 1809.7 He fought in the Battle of Busaco on 27 September 1810, defeating Marshal Massena.7 He fought in the invasion of Portugal in March 1811, by extending the fortications of Torres Vedras, he prevented the French from getting to Lisbon, forcing them to retreat back into Spain.8 He fought in the Battle of Fuentes de Oñoro on 5 May 1811 at Fuentes de Oñoro, SpainG.8 He gained the rank of General on 31 July 1811 in the British Army.8 He was created 1st Conde de Vimeiro [Portugual] on 18 October 1811.8 He was created 1st Duque de Ciudad Rodrigo [Spain] in January 1812.8 He was created 1st Earl of Wellington [U.K.] on 28 February 1812.8 He fought in the Siege of Badajoz on 6 April 1812 at Badajoz, SpainG.8 He fought in the Battle of Salamanca on 22 July 1812, defeating Marmont. "For Goya watched him, as he rode in that night from Salamanca ... and [his] strange drawing ... records the exhausted victor - unshaven, hollow-eyed, the damp hair plastered to his forehead, a little shaken by the spent bullet which had bruised his thigh. "8 He was created 1st Marquis of Torres Vedras [Portugual] in August 1812.1 He fought in the capture of Madrid on 12 August 1812 at Madrid, SpainG.8 He gained the rank of Generalissmo in September 1812 in the Armies of Spain.8 He was created 1st Marquess of Wellington [U.K.] on 3 October 1812. 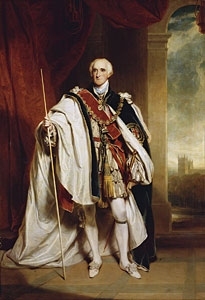 He was also granted £100,000 for the purchase of lands to descend with the peerage.8 He was created 1st Duque de Victoria [Portugual] on 18 December 1812.8 He was appointed Knight, Order of the Garter (K.G.) 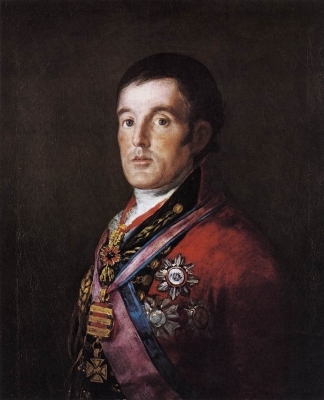 on 4 March 1813.8 He gained the rank of Field Marshal on 21 June 1813 in the British Army.8 He fought in the Battle of Vitoria on 21 June 1813, where he defeated Marshal Jourdan.8 He fought in the capture of San Sebastian on 31 August 1813 at San Sebastián, SpainG.8 He fought in the capture of Pampeluna on 31 October 1813 at Pampeluna, SpainG.8 He fought in the Battle of Nivelle on 10 November 1813 at Nivelle, FranceG.8 He fought in the Battle of Orthez on 27 February 1814 at Orthez, FranceG.8 He fought in the Battle of Toulouse on 10 April 1814 at Toulouse, FranceG, where he finally defeated Marshall Soult.8 He was created 1st Marquess of Douro [U.K.] on 11 May 1814.8 He was created 1st Duke of Wellington [U.K.] on 11 May 1814. He received an additional £400,000 to buy estates entailed on the male heirs of his family, failing which on the female heirs.8 He was awarded the honorary degree of Doctor of Civil Laws (D.C.L. ), by diploma by Oxford University, Oxford, Oxfordshire, EnglandG, on 14 June 1814.8 He held the office of Ambassador Extraordinary and Minister Plenipotentiary to France between August 1814 and January 1815.8 He was First Plenipotentiary to the Congress of Vienna between January 1815 and March 1815 at Vienna, AustriaG.8 He was appointed Knight Grand Cross, Order of the Bath (G.C.B.) on 2 January 1815.4 He gained the rank of Field Marshal in February 1815 in the Hanover Army.8 He was Commander-in-Chief of the Allied Forces on the Continent on 28 March 1815.8 He held the office of Joint Plenipotentiary to treat for peace with France between June 1815 and November 1815.9 He fought in the Battle of Quatre Bras on 16 June 1815 at Quatre-Bras, BelgiumG.9 He fought in the Battle of Waterloo on 18 June 1815 at Waterloo, BelgiumG, where he finally defeated Napoleon.9 He was created 1st Prince of Waterloo [Netherlands] on 18 July 1815.9 He was Commander-in-Chief of the Allied Armies in Occupation in France between October 1815 and November 1818.9 He was appointed Knight Grand Cross, Hanoverian Order (G.C.H.) in March 1816.9 He held the office of Master-General of the Ordnance between 1818 and 1827.9 He was Joint Plenipotentiary to the Conference of Aix-la-Chapelle between August 1818 and November 1818 at Aachen, GermanyG.9 He held the office of Governor of Plymouth between 1819 and 1826.9 He held the office of Lord-Lieutenant of Hampshire between 1820 and 1852.9 He was Plenipotentiary to the Conference of Verona between September 1822 and November 1822 at Verona, ItalyG.9 He held the office of Constable of the Tower of London between 1826 and 1852.9 He held the office of Lord-Lieutenant of the Tower Hamlets between 1826 and 1852. He held the office of Prime Minister and First Lord of the Treasury between January 1828 and November 1830.9 He held the office of Constable of Dover Castle between 1829 and 1852.9 He held the office of Lord Warden of the Cinque Ports between 1829 and 1852. On 21 March 1829 at Battersea Park, Battersea, London, EnglandG, he fought a bloodless duel with the Earl of Winchilsea, as a result of the Roman Catholic Relief Bill passed in his government.9 He held the office of Prime Minister and First Lord of the Treasury between November 1834 and December 1834.9 He held the office of Secretary of State for the Home, Foreign and Colonial Departments between November 1834 and December 1834. He held the office of Foreign Secretary between December 1834 and April 1835.9 He was awarded the honorary degree of Doctor of Laws (LL.D.) by Cambridge University, Cambridge, Cambridgeshire, EnglandG, on 6 July 1835.9 He held the office of Cabinet Minister without office between 1841 and 1846.9 He was Commander-in-Chief of the Forces between 1842 and 1852.9 He was appointed Fellow, Royal Society (F.R.S.) on 25 November 1847.9 He held the office of Ranger of St. James's Park and Hyde Park between 1850 and 1852.9 Field Marshal Arthur Wellesley, 1st Duke of Wellington also went by the nick-name of 'The Iron Duke'. The Earl of Mulgrave says of him "there is no part of his great character more amiable or more rare than his temper and fortitude under great disappointments arising from the weakness or neglect of others. "10 Fortescue writes "it is much to be a great general and a great ruler of men; it is more also to be a great gentleman and a great patriot. It is more than all to exalt for ever in a great nation the standard of discipline and of duty. And this was the mightiest work of Wellington. "10 The future Duke himself wrote in 1806 'I am nimmukwallah, as we say in the East; that is, I have ate of the King's salt and, therefore, I conceive it to be my duty to serve with unhesitating zeal and cheerfulness, when and wherever the King or his government may think proper to employ me.10' Raikes describes him in 1843 as "remarkably neat in his appearance, always wearing a white coat and trowsers ... and a blue riding coat in the morning ... he is la vielle cour personifiée.10" Fortescue writes that "in person he was not comely; but his features, with the wavy black hair, fine blue eyes rather deeply sunk, auiline nose, immensely strong jaw and pointed chin, indicated above all things, character. The mouth was rather disproportionately small ... it was not a kind or sympathetic mouth. His voice has been handed down by tradition as deep, gruff and rather thick ... He was five feet nine inches in height, spare, muscular, very well made ... His feet were small; and his hands, with slender taper fingers, the hands of an artist. In old age he became bowed, and very thin, but never wholly lost his white hair. He was scrupulously neat and smart in his dress, for, having a good figure, he was not above making the best of it; and one of his nicknames was the Beau.10"
[S6] G.E. Cokayne; with Vicary Gibbs, H.A. Doubleday, Geoffrey H. White, Duncan Warrand and Lord Howard de Walden, editors, The Complete Peerage of England, Scotland, Ireland, Great Britain and the United Kingdom, Extant, Extinct or Dormant, new ed., 13 volumes in 14 (1910-1959; reprint in 6 volumes, Gloucester, U.K.: Alan Sutton Publishing, 2000), volume XII/2, page 452. Hereinafter cited as The Complete Peerage. [S6] Cokayne, and others, The Complete Peerage, volume XII/2, page 456. [S6] Cokayne, and others, The Complete Peerage, volume XII/2, page 451. [S6] Cokayne, and others, The Complete Peerage, volume XII/2, page 453. [S6] Cokayne, and others, The Complete Peerage, volume XII/2, page 454. [S6] Cokayne, and others, The Complete Peerage, volume XII/2, page 455. [S6] Cokayne, and others, The Complete Peerage, volume XII/2, page 457. [S142] Bernard, Sir Burke, editor, Burke's genealogical and heraldic history of the landed gentry of Ireland, 3rd ed. (London, U.K.: Burkes Peerage Ltd, 1912), page 169. Hereinafter cited as Landed Gentry of Ireland. [S6] Cokayne, and others, The Complete Peerage, volume IV, page 537.